Palm Sunday will be here in two weeks; the official start of Holy Week, the last week of Jesus’ earthly life. It’s a perfect time to plan for pauses in your day, in the busyness of family life, to think more about Jesus. 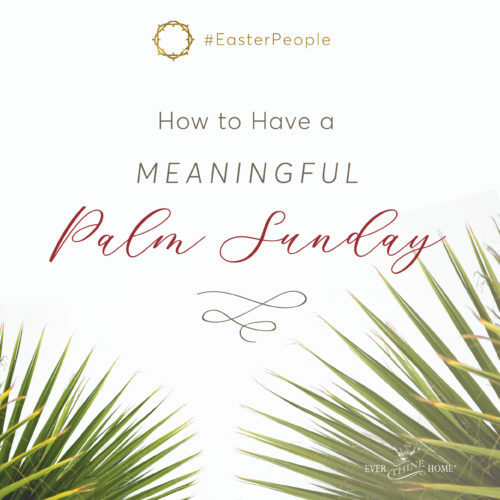 Throughout the centuries Christians have set aside time during this Holy Week to remember Jesus’ journey to the cross and to worship Him for His sacrifice for us motivated by unfathomable love. Do you have a plan for Holy Week? A simple reading plan can guide your personal thinking, your family’s collective anticipation, as you remember His words during this week. Our Holy Week Advent cards (formerly titled Behold the Lamb) can guide you and your family to grow in appreciation for this unfathomable gift. If for some reason you can’t buy a set, you can read this short story, taken from the original content I wrote for Behold the Lamb. One day Jesus met a woman at a water well, “The woman said to him, ‘I know that Messiah is coming (he who is called Christ). When he comes, he will tell us all things.’ Jesus said to her, ‘I who speak to you am he’” (John 4:25-26). 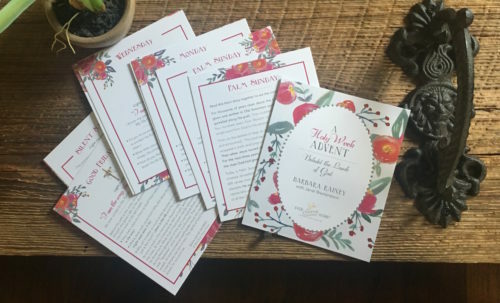 Very plainly, Jesus said to this woman, “I am Messiah.” Interestingly, He did not make this proclamation to a large congregation, or to His disciples, but to this one lonely woman, a woman with a history of bad choices and unhealthy relationships. In Jesus’ day, there were two ways a king entered a city. If he was going to war, he rode in the city gates on his chariot with his soldiers all around him. But if he was coming to a city in peace, he rode in on a donkey. The prophet Zechariah wrote, “Rejoice greatly, O daughter of Zion! Shout in triumph, O daughter of Jerusalem! Behold, your king is coming to you; He is just and endowed with salvation, humble, and mounted on a donkey…” (Zechariah 9:9 NASB). The Lamb of God arrived on Palm Sunday riding on the donkey. The people gathered around Jesus as He entered Jerusalem. They saw Him as their long-awaited king. But He was not coming to Jerusalem to declare His sovereignty but to die as their sacrifice. They thought the Messiah would rule. They didn’t see or hear the prophets’ words about Messiah becoming their sacrifice for sin. It was the tenth day of the month of Nisan, the day prescribed by Jewish law on which, “every man shall take a lamb…for a household…” and “Your lamb shall be without blemish, a male a year old” (Exodus 12:3, 5). 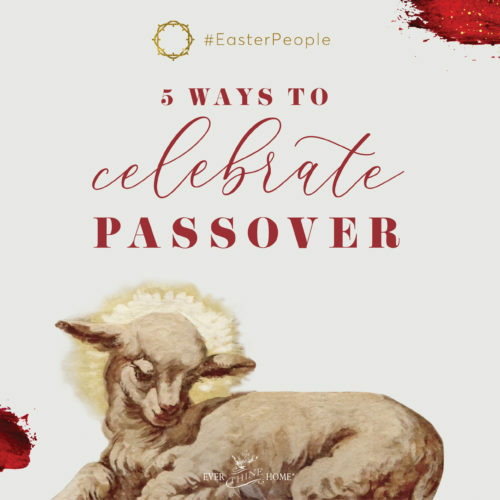 As Jesus rode into the city, the sacrificial lambs were also being led into the city to be purchased by each family in preparation for the Passover. The significance was enormous, but no one noticed. Will you take the time to notice Jesus this week? Admittedly Christians are at a disadvantage in celebrating Easter because schools and businesses usually don’t close like they do for Christmas. 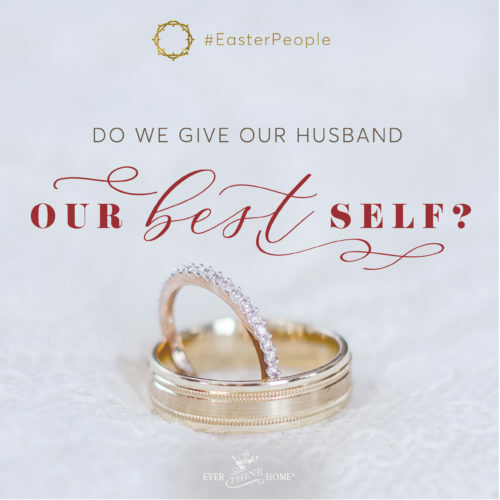 All our efforts to prepare and make Easter special have to be sandwiched in between regular life duties and responsibilities. 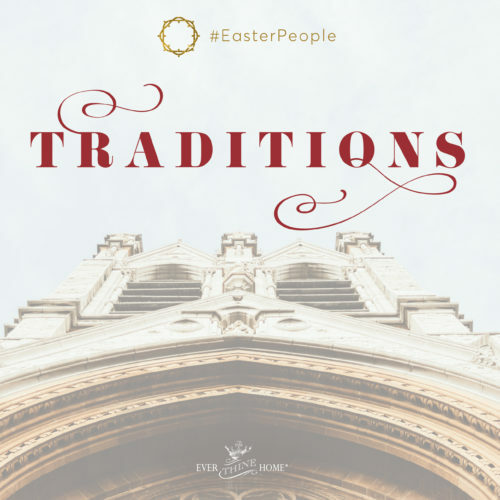 The entire world celebrates Christmas but only Christians make much of Easter. 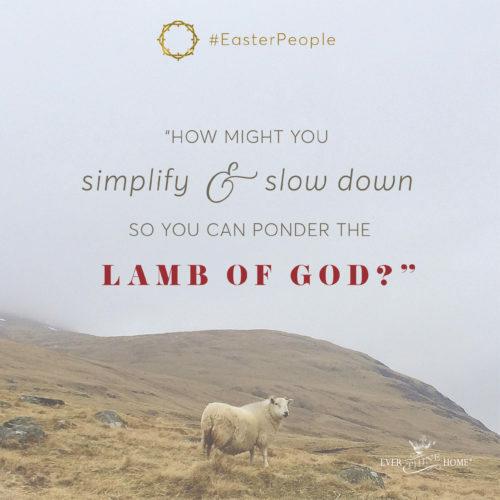 That’s why your decision to elevate Easter is so important! It’s an annual opportunity to be used by God to influence your children and others to grow in their faith. What a privilege!